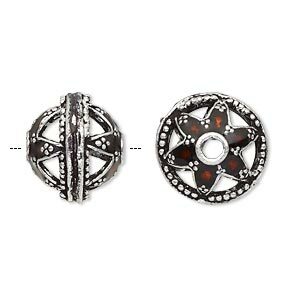 Bead, enamel and antique silver-plated brass, transparent red, 16x14mm beaded rondelle with star design. Sold individually. Item Number: H20-A1767MB Have a question about this item? 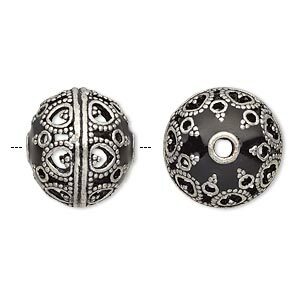 Beautifully detailed brass bead has an antique silver plating and fancy enamel design featuring a star shape. Bead is enameled by hand. Sizes, shapes and colors may vary with handcrafted items. 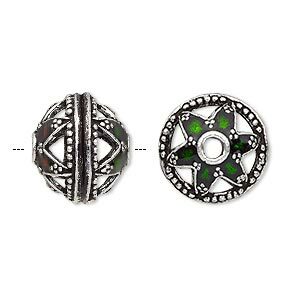 Bead, enamel and antique silver-plated brass, transparent red and green, 16x14mm beaded rondelle with star design. Sold individually. 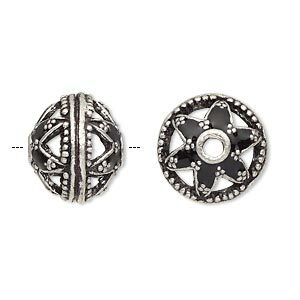 Bead, enamel and antique silver-plated brass, opaque black, 16x14mm beaded rondelle with star design. Sold individually. 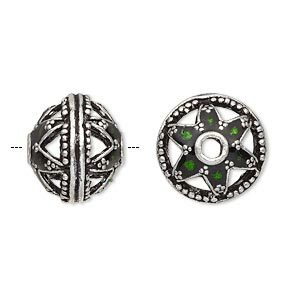 Bead, enamel and antique silver-plated brass, transparent green, 16x14mm beaded rondelle with star design. Sold individually. 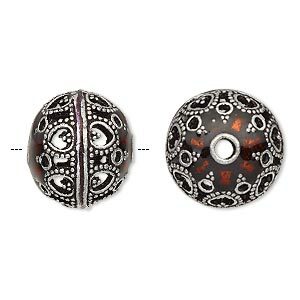 Bead, enamel and antique silver-plated brass, transparent red, 17x15mm beaded rondelle. Sold individually. Minimum 2 per order. Bead, enamel and antique silver-plated brass, transparent red and green, 17x15mm beaded rondelle. Sold individually. 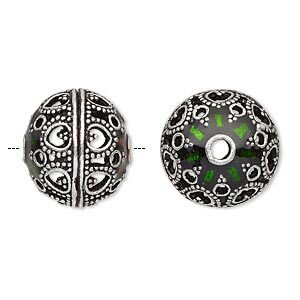 Bead, enamel and antique silver-plated brass, opaque black, 17x15mm beaded rondelle. Sold individually. 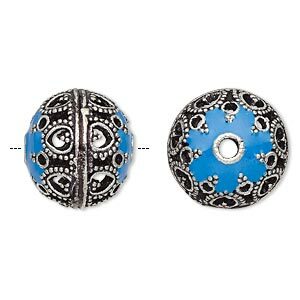 Bead, enamel and antique silver-plated brass, opaque turquoise blue, 17x15mm beaded rondelle. Sold individually. 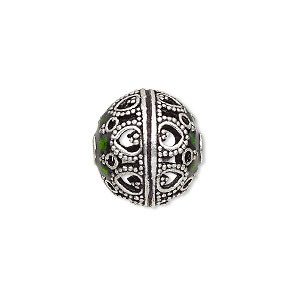 Bead, enamel and antique silver-plated brass, transparent green, 17x15mm beaded rondelle. Sold individually. 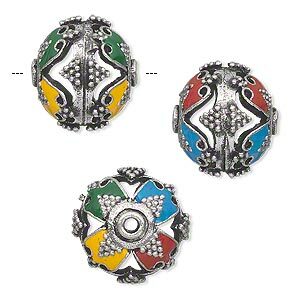 Bead, enamel and antique silver-plated brass, multicolored, 17x15mm round with cutouts and dots. Sold individually. 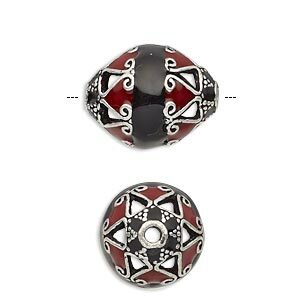 Bead, enamel and antique silver-plated brass, opaque red and black, 19x15mm beaded oval. Sold individually.